Natural Shampoo Bar for Dry Hair Glamour 65 gr. 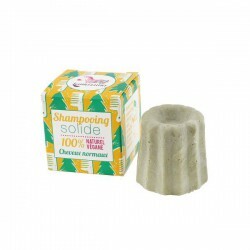 Natural Shampoo Bar for Dry Hair Glamour deeply nourishes and strengthens your hair. With baobab oil and ylang-ylang, it is especially recommended for dry, brittle and dull hair restoring its health and shine. 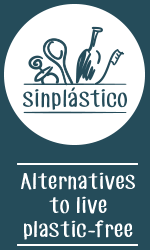 It's your natural, vegan and zero waste alternative. The precious Baobab oil is ideal for dry, brittle and dull hair. This precious oil restores shine and gives good health to your hair. The ylang-ylang strengthens and protects hair vitality. It brings Glamour thanks to his warm fragrance and sweetness. Hair gets loose thanks to coconut oil and bright thanks to cider vinegar. Leave it cleaner than usual shampoos, which usually carry microplastics. Lasts like 2 bottles of shampoo. Unlike liquid shampoos that too often, get lost down the drain, solid shampoos go a long way. We save water because it is easier to rinse solid shampoos than liquid ones. Surfactants, of natural origin, are mild to the scalp. 100% organic oils and butters and/or from fair trade. Handmade, each piece is unique and can vary from that shown in the photo. Rub the bar on your wet hair to get a rich lather. Spread the lather on the hair. Ingredients: Sodium cocoyl isethionate (mild surfactant derived from coconut), clays, ** baobab oil, Shea butter **, vegetable glycerine *, cider vinegar *, essential oil of ylang-ylang ** (*organic, **organic and fair trade). INCI : Sodium cocoyl isethionate, kaolin, butyrospermum parkii butter, glycerin, adansonia digitata oil, acetum, sodium lauroyl lactylate, illite, cananga odorata oil, benzyl benzoate°, benzyl salicylate°, farnesol°, geraniol°, linalol° (° naturally present in essential oils).